I have that feeling you get after a really big party is over. You know, when you close the door after your last guest has left and you throw yourself on your couch feeling utterly exhausted; depleted. You look around and you notice that there are empty glasses and cups on every surface of your living room and there’s a mound of empty bottles on your kitchen floor. The kitchen sink is piled with dirty dishes and there are weird could-be-wine-could-be-coffee type stains on your carpet and on your floor. The whole house is a mess but, right now, you don’t care. You could give a rat’s about it all. Right now, all you want to do is rest for a bit and enjoy the fact that BAM: the party is over and what a party it was! That’s kind of how I’ve felt all day today, after four days spent in Birmingham. I was there on Thursday, at the Aston Villa Football Club, running a Protein Pow Workshop for Team Optimum Nutrition. Then, from Friday-Sunday, I was on the Protein Pow stand, selling the new Protein Pow Cookbook (published by WW Norton – you can get it here), signing books, taking photos with people, and giving food demos at the Body Power Kitchen which was right in front of us! The expo was seriously incredible. I met superhero after superstar after good old fashioned beast. The place was swarming with big cheeses! And I got a chance to chat with most of them. I also met hundreds of Protein Pow readers and people who follow Protein Pow on facebook, instagram, and twitter! That, if you ask me, was a party in and of itself. 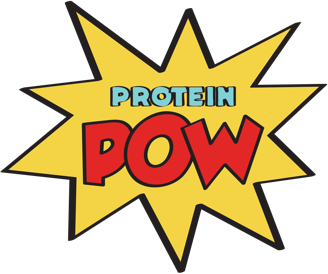 Here is my album of the Protein Pow Workshop I ran for Optimum Nutrition sponsored athletes. We made protein fluff and the guys made what are very likely some of the world’s most epic protein bars. We had a Protein Mouse, a Protein ON logo, a Protein Tower of Profiterolian Truffles, Protein Dumbells, and all kinds of gourmet-like ‘shapes!’ It was a fantastic day! Action-packed to the brim and an absolute blast to run. Here is my album of Day Three. Day Three was probably my favorite though, to be honest, it’s hard to say that with complete conviction because the days before it were pretty epic too. A few things jumped out from Day Three that made me say it was my favorite: 1. I met Alan Aragon. I’m a HUGE fan of Alan’s and I had no idea he’d even be there. I strongly urge you to check out his work because there are few people like Alan in the industry. He is seriously one of the most knowledgeable people in the world of nutrition and a downright amazing guy. 2. I also caught up with Andy Mac on Day Three which was phenomenal! Andy is the owner of The Training Lab and the one who taught me how to clean and jerk. He’s one of the best strength and conditioning coaches in the country and every time I see Andy, I walk away with a bunch of great advice and the itch to hit the weight floor lift some objects – NOW. 3. I got to make some protein fluff and protein bars on stage with some of my readers and one of my talks was translated to sign language! Rich uploaded a clip of it here. How amazing, don’t you think?? Tomorrow on proteinpow.com: Connell’s Dark Chocolate & Orange Whey Protein Truffles. Stay tuned.